Indian Prime Minister Narendra Modi says he and Canadian Prime Minister Justin Trudeau have agreed to fight terrorism and those who misuse religion to divide people. Modi spoke following a bilateral meeting in New Delhi this morning. Indian Prime Minister Narendra Modi says he and Justin Trudeau agreed to fight terrorism and those who misuse religion to divide people when they met in New Delhi. 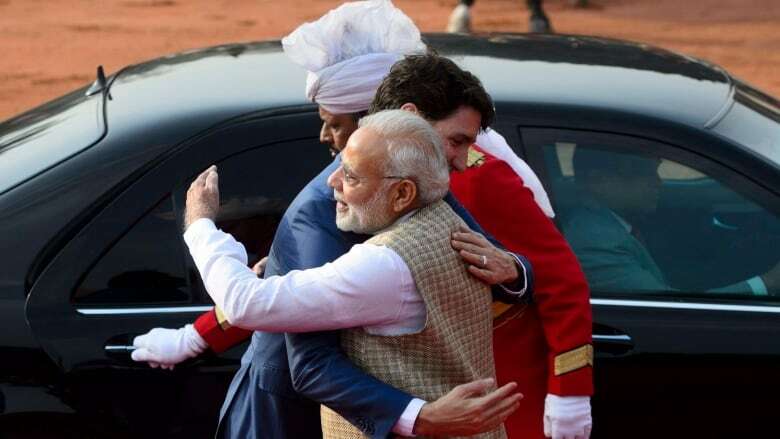 Modi rolled out reams of red carpet and a horse honour guard, and hugged Trudeau upon his arrival at the presidential palace. Their meeting comes near the end of a trip to India by Trudeau and his family that has been dogged by criticism. 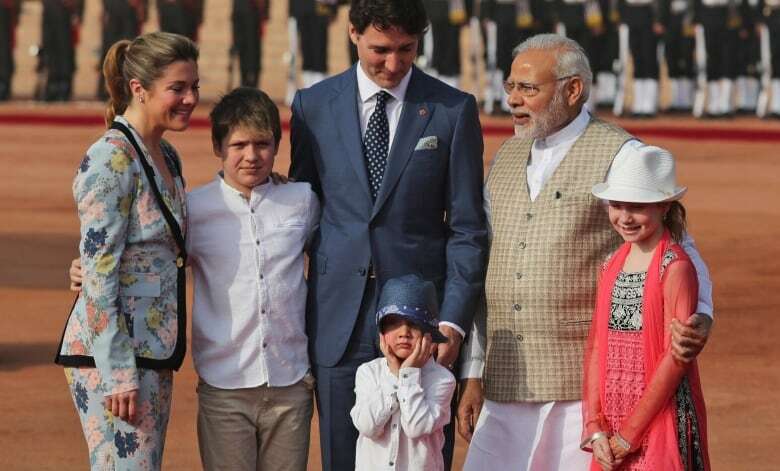 Critics have said the trip was mostly a Trudeau family vacation in fancy Indian clothing. As well, a convicted attempted assassian was invited by an MP to a Trudeau reception, and then the invitation was rescinded. Trudeau has also spent much of this trip trying to dispel Indian concerns that his government is sympathetic to Sikh separatism, and Friday's meeting included discussions of the issue and putting the finishing touches on a framework to counter terrorism and violent extremism. This was the sixth meeting between Modi and Trudeau, and there were clear signs of affection between the two, with Modi saying Trudeau's visit was long awaited and very pleasant. Trudeau's wife and three children accompanied him for the welcome ceremony and once again, three-year-old Hadrien stole the show, putting his hat over his face during a family photo and shaking hands with everyone in the receiving line long after his family had moved forward.